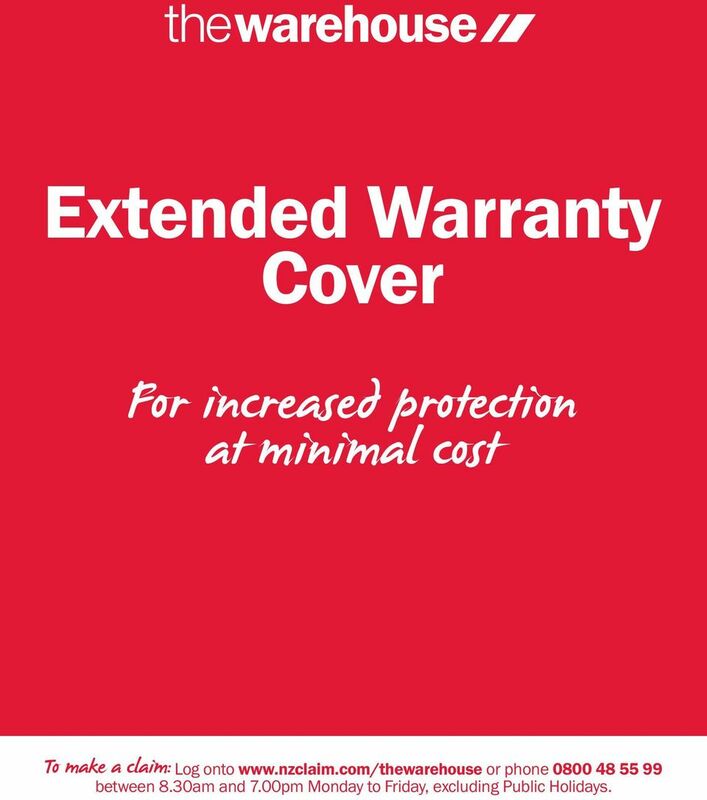 1 Extended Warranty Cover For increased protection at minimal cost To make a claim: Log onto or phone between 8.30am and 7.00pm Monday to Friday, excluding Public Holidays. 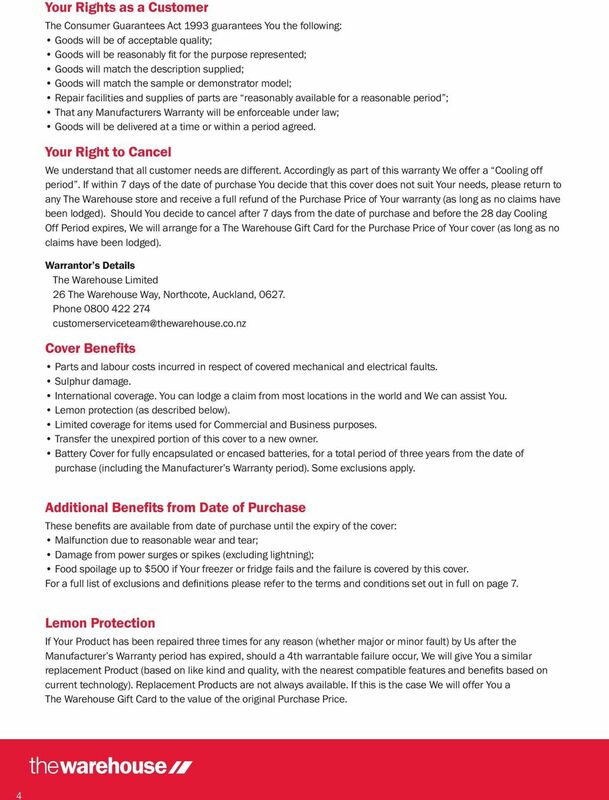 Please find detailed below, the Noel Leeming Group Ltd (NLG) submission in relation to the Consumer Law Reform Discussion Paper. 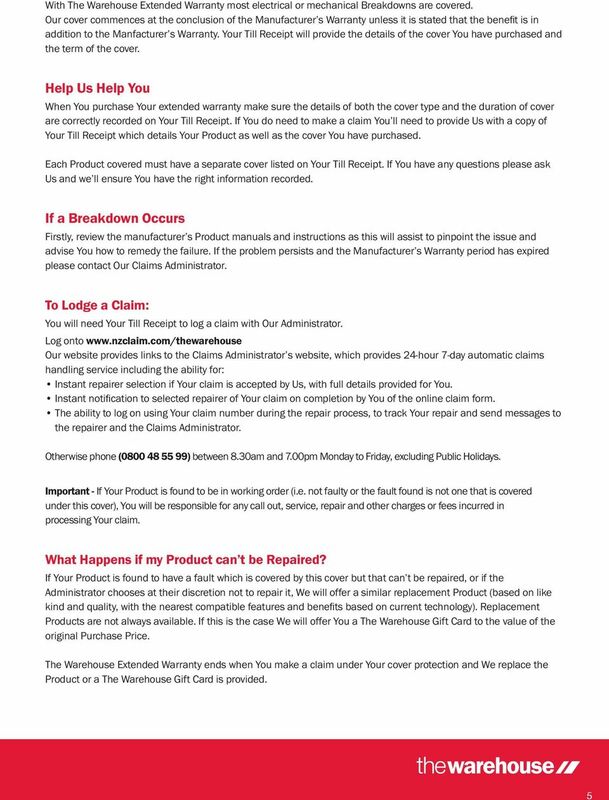 CLAIMS PROCEDURE: Before calling please conduct a basic check of Your Product. 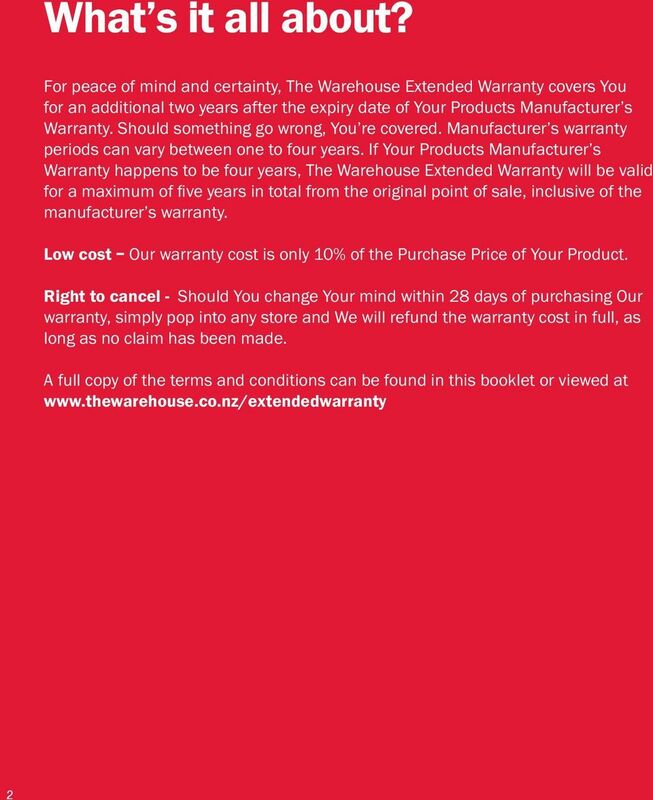 Brightside Extended Warranty Cover terms and conditions. Be covered for whatever happens. for whatever happens! 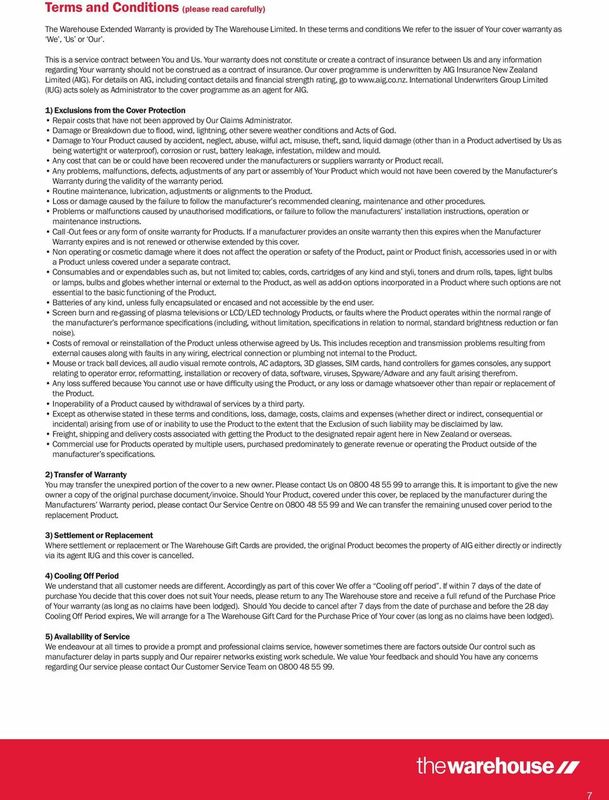 New from American Home Shield HEATING AND AIR CONDITIONING 5-YEAR LABOR EXTENDED SERVICE AGREEMENTS Customer Guide Last updated June 2012 2012 American Home Shield Corporation and its licensed subsidiaries. 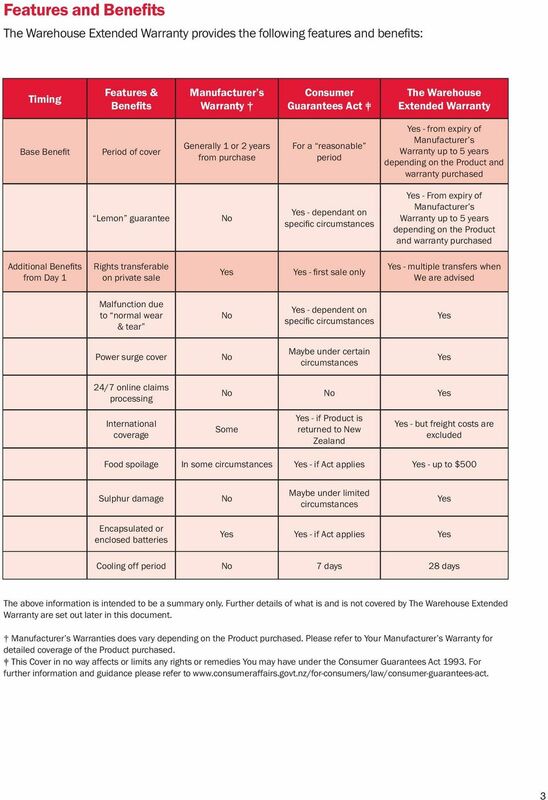 POLICY DOCUMENT THE INSURANCE You are covered against the repair or replacement cost of Your Insured Item in the event of Mechanical or electrical breakdown or Accidental Damage during the Period of Cover. PAV Installations, LLC Services AGREEMENT (the "Agreement") THIS IS A LEGAL CONTRACT BETWEEN YOU AND PAV Installations, LLC("PAV Installations"). 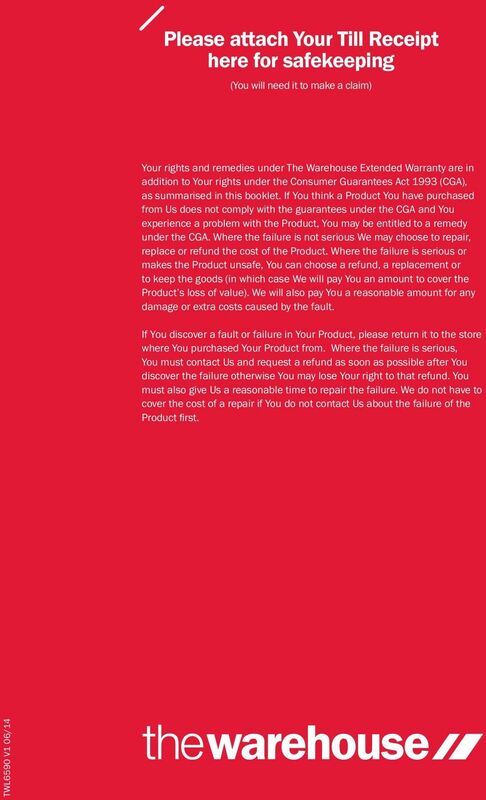 READ THIS AGREEMENT CAREFULLY. Install Services TERMS. 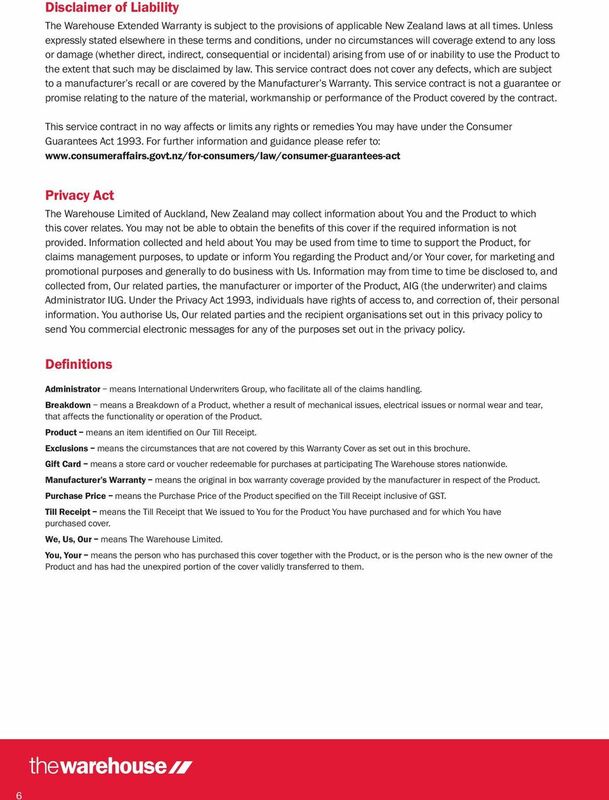 This document contains the terms and conditions of the Linix Ltd support services contract. All support and consultancy advice given by Linix Ltd to our customers is covered by the terms of this contract. Any owner or authorized signer of any Account may obtain a separate Access ID and Password for access to such Account. Bendigo Rewards. Terms & Conditions. 21 December 2015 www.bendigobank.com.au Bendigo and Adelaide Bank Limited The Bendigo Centre Bendigo VIC 3550 Telephone 1300 BENDIGO (1300 236 344) ABN 11 068 049 178.